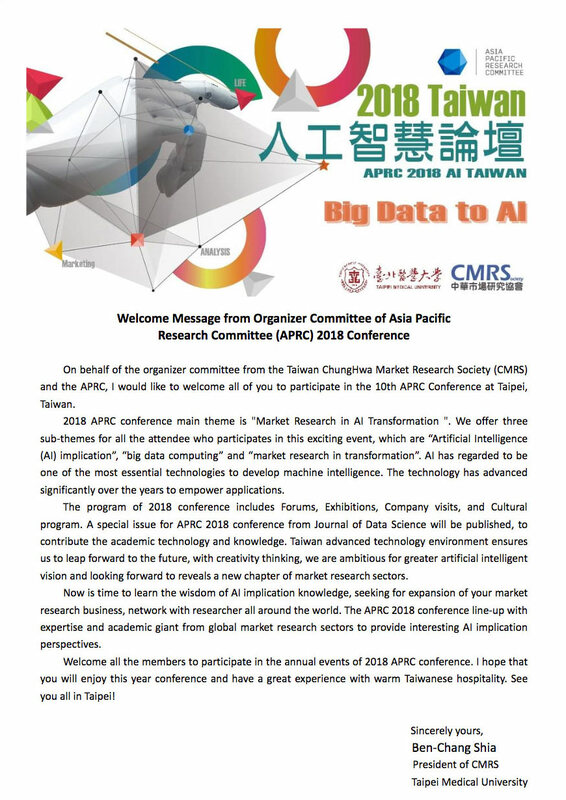 The 2018 10th Annual APRC Conference will be hosted by the ChungHwa Market Research Society (CMRS) on November 15th to 17th, 2018 at Taipei city of Taiwan. The conference will include 2 days seminar and 1 day culture program. APRC association members will be informed when the agenda and promotional kits are ready. The Taiwan APRC Conference website and registration is now open!